We offer Good Quality Container Seals at competitive rates used for locking Import or Export Containers. It is also known as One Time Locks OR OTLs. Widely used at different ICDs and Ports. We keep Good Quality Container Seals at very competitive rates. Perfect Packaging In Leading Manufacturer of Container Seal in Ahmedabad. Perfect Packaging Is Well Known For Container Seal Manufacturer in Ahmedabad. Perfect Packaging In Leading Suppliers of Container Seal in Ahmedabad. 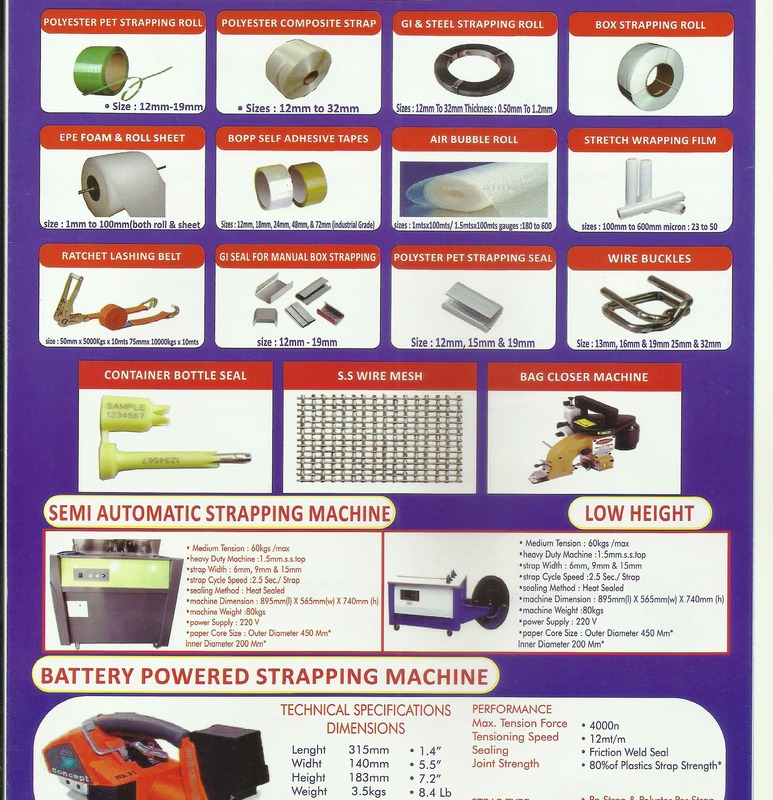 We offer Competitive Rates in Polyester Composite Strap (also known as Cord Strap). It comes in different sizes from 16 mm to 32 mm. It is widely used in packing purpose inside Import and Export Containers and Normal Packing Application.